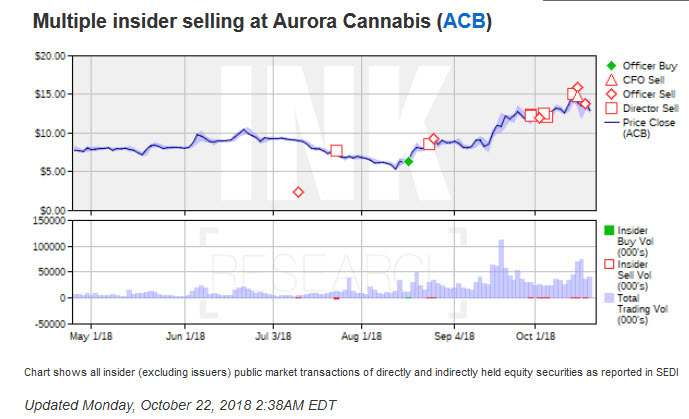 Aurora Cannabis Inc is a Canada-based medical cannabis company. Through its subsidiaries, the Company manages two operating segments plus Corporate: Medical Cannabis, Horizontally Integrated Businesses and Other. The Medical Cannabis segment produces and distributes medical cannabis in Canada and distributes it via wholesale in the European Union. Additionally it includes the production and sale of indoor cultivation systems and hemp related food products. The Company's production capacity is of over 500,000 kilograms per year.